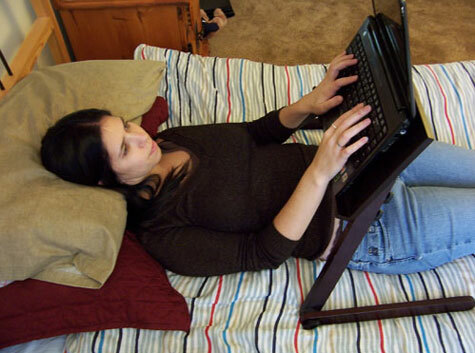 * Ever wished you could use your laptop comfortably outdoors without using your lap, desk or table? 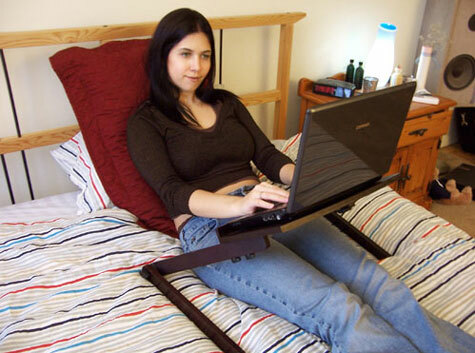 * How about an accessory that can alleviate back aches, hand cramps, or neck pains from awkward or extended laptop use? 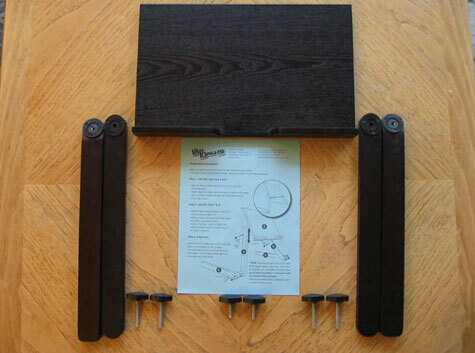 The LapDawg portable laptop stand is a new laptop accessory designed to change the way our body interacts with laptop computers by simply holding our laptops to a more comfortable, natural angle. It will eliminate your laptop’s weight, heat and discomfort from burdening your lap while at the same time re-positioning your body and arms to ergonomically correct angles, enhancing comfort and reducing strain on our bodies. 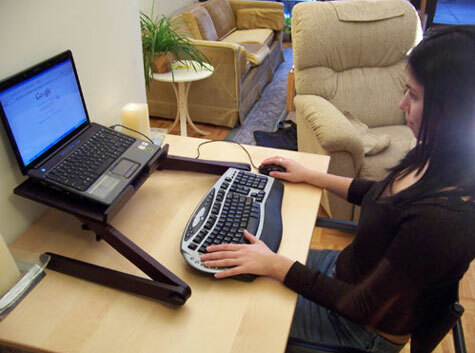 It’s simple, light-weight, mobile design will maximize the freedom of movement for your legs and body, eliminating the “trapped” feeling of a laptop resting on your lap. * “No Hands” Design. Holds your laptop or books for you. * Multiple Functions. See Other Uses! * Weighs only 1.5 lbs! * Hold laptops (up to 17 inches), books, magazines or binders. * Makes a Perfect One-Of-A-Kind Gift! * Price $79.99 USD, $89.99 CAD. A good place to start is a large office supply store that has dedicated knowledgeable staff members purposely working in the computer department. Often, these employees are computer gurus; they tend to be honest and forthcoming about the better brands, and readily share their tried and true favorites. These stores do have sales, and many have a clearance board as well of more pricey models that just need to be moved for new inventory.